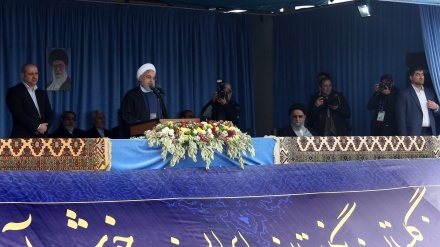 Iranian President Hassan Rouhani said that the Islamic Republic is not afraid of sanctions and will not retreat. 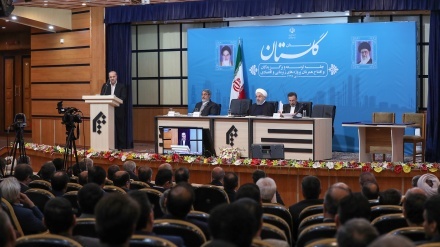 Rouhani made the remarks at the Administrative Council of Golestan province, according to Mehr news agency. “The United States faced resistance from 14 other members even during its presidency of the UN Security Council," Rouhani added. “Those who bought hundreds of billions of dollars of weapons in the region are admitting today that they did not achieve their goals in Syria, Iraq and Yemen,” said Iranian President. “The other goal of the United States is to decrease the role of Iran in the region so that we cannot be among the leading and influential countries in this region,” Rouhani noted. “They have already tried it in several countries, including Yemen, but failed and are seeking ways to pull themselves out of Yemen, and today it has become clear that US military experts were in Yemen,” he added. “Over the past few years, some regional countries have bought more than $100 billion worth of weapons, mostly from the United States, but despite these weapons, they state that they have failed in Yemen and that Yemen had no military solution,” Iranian President said. “Regarding Syria, they also thought that they would have absolute success and they had the same thoughts about Iraq and other countries in the region, but what happened in these countries was completely different from what they thought,” Rouhani added. “The United States wants Iran to step aside in the region so that it can dominate the region; this is impossible to do so. 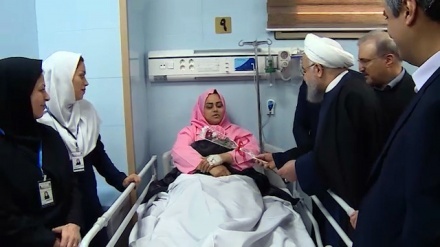 The US Secretary of State's anti-Iran tour of Middle East is doomed to failure, even if it lasts for 10 weeks,” Iranian President Hassan Rouhani concluded.